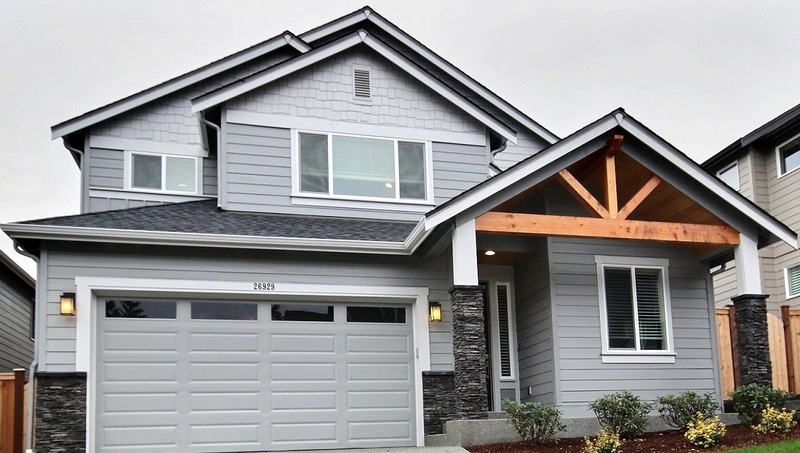 High quality exterior finishes utilizing Cemplank Cement Board Siding by Hardie: a fiber cement lap siding offering a pleasing appearance, low maintenance, moisture resistance, decorative beauty, and lasting architectural details to your home. 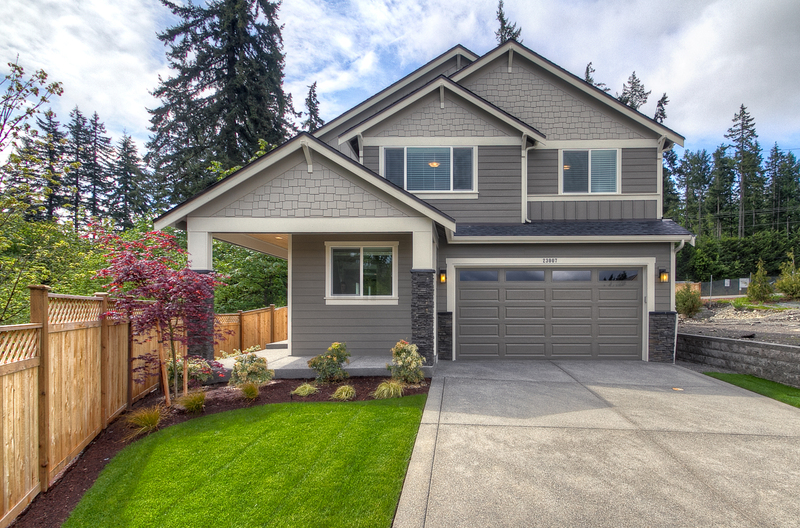 Our driveways and walkways are exposed aggregate, and the outdoor living area is maintenance free concrete broomed finish and intentionally designed with you in mind. Timeless eight-foot two-paneled craftsman energy efficient Fiberglass insulated front door with signature sidelight window (per plan). Sturdy, insulated, steel-paneled garage door. Hi-Tech wiring interfaces for telephone and cable TV and optional local area network with quad shielded RG6 Cable and CAT-5e data lines throughout the home. Garage door opener with two remotes and keyless entry on garage. Timer controlled, electrical outlets discretely placed under the eaves for easy display of holiday lights. Gorgeous HUNTWOOD custom cabinetry, showcasing the Shaker style wood cabinets with gentle close doors and gentle close full extension drawers. Handsome, solid, 3 centimeter slab granite or quartz counter tops and custom designed decorator tile back-splash in the kitchen. Islands include slab counter tops with breakfast bar seating. Everyone will appreciate the large, single-basin stainless under-mount sink with Moen Arbor faucet featuring convenient pull-out sprayer, and under sink garbage disposal. 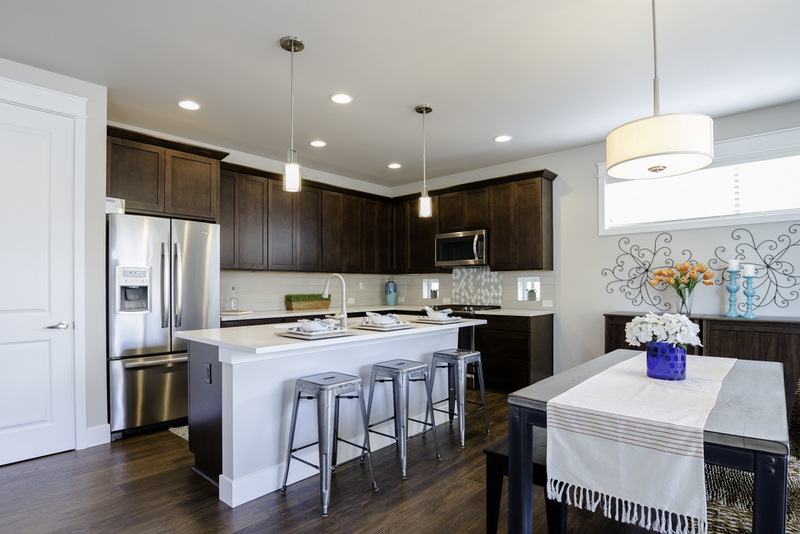 Decorative pendant lighting over the kitchen island (on Traditional Series homes) and recessed can lighting tastefully illuminate the kitchen work area. 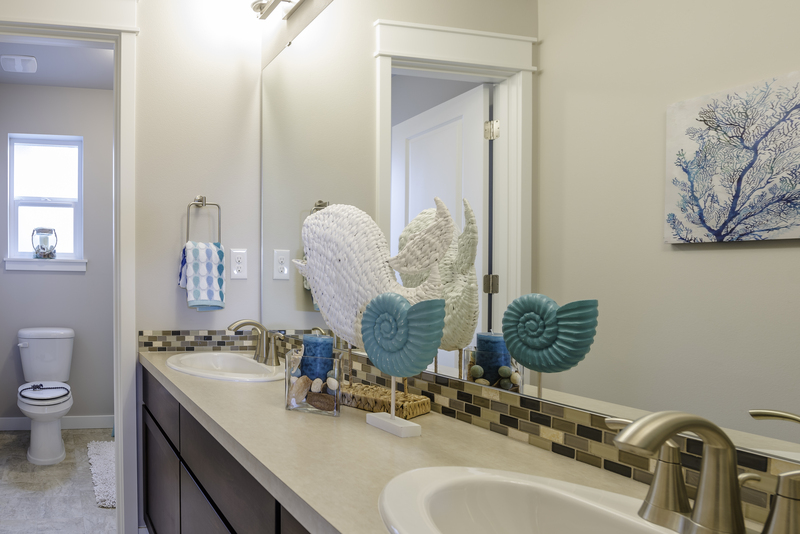 Double vanities with Moen Glyde brushed nickel faucets in the master bathrooms. Quartz 3 cm slab countertops in the master bath are accented by a custom deco tile backsplash while being anchored by the matching ceramic floor tile (in the Traditional Series homes). 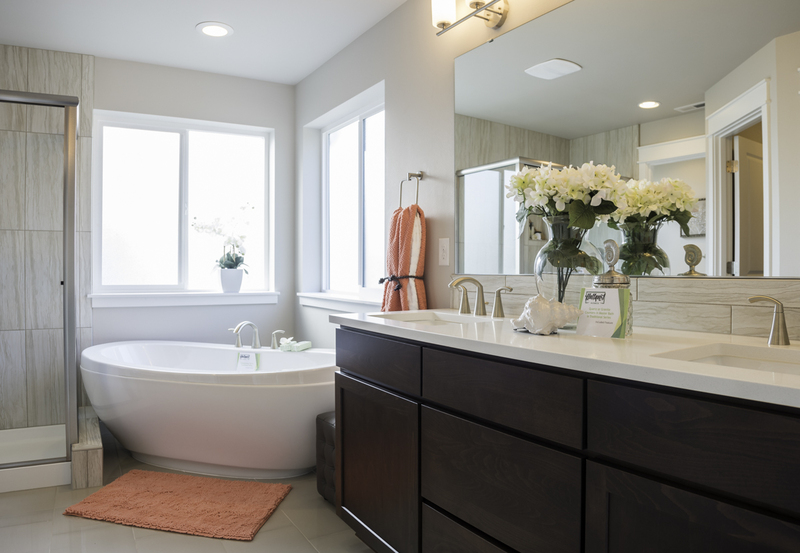 Enjoy the luxurious free-standing soaking tub or the mud-set tiled separate shower or both in the master bath (in the Traditional Series homes). 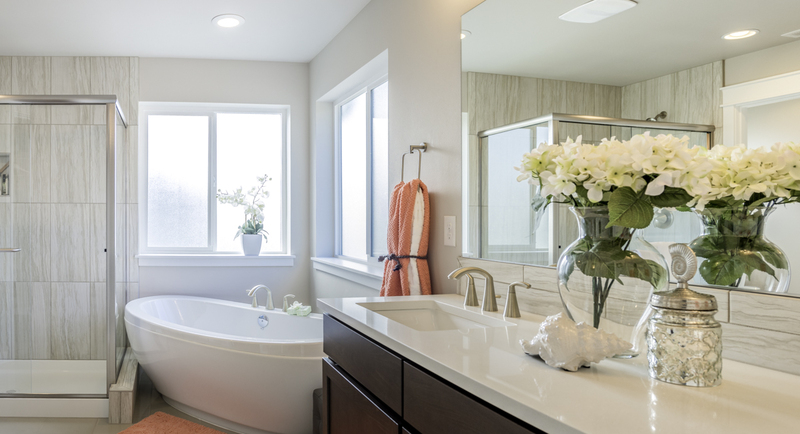 Secondary bathrooms offer sleek decorative laminate countertops, ergonomic, one piece, low maintenance tub and shower enclosures, and easy to clean no-wax flooring. 9’ ceilings on the main floor. Gas fireplace per plan in the main living area. 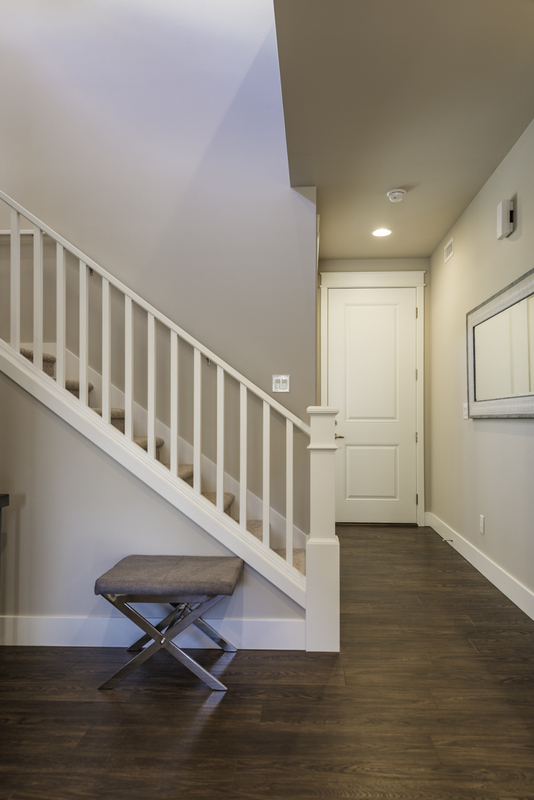 Expanded storage under stairs, per plan.